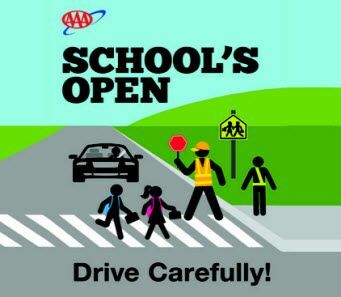 As 55 million children across the country begin heading back to school, AAA urges motorists to slow down and stay alert in neighborhoods and school zones, and to be especially vigilant for pedestrians during before- and after-school hours. The afternoon hours are particularly dangerous for walking children – over the last decade, nearly one-third of child pedestrian fatalities occurred between 3 and 7 p.m.
As North America’s largest motoring and leisure travel organization, AAA provides more than 54 million members with travel, insurance, financial, and automotive-related services. Operating 19 offices throughout Maine, New Hampshire and Vermont, AAA Northern New England is a not-for-profit, fully tax-paying corporation and serves as an advocate for the safety and security of all travelers. AAA Northern New England can be visited on the Internet at www.AAA.com.